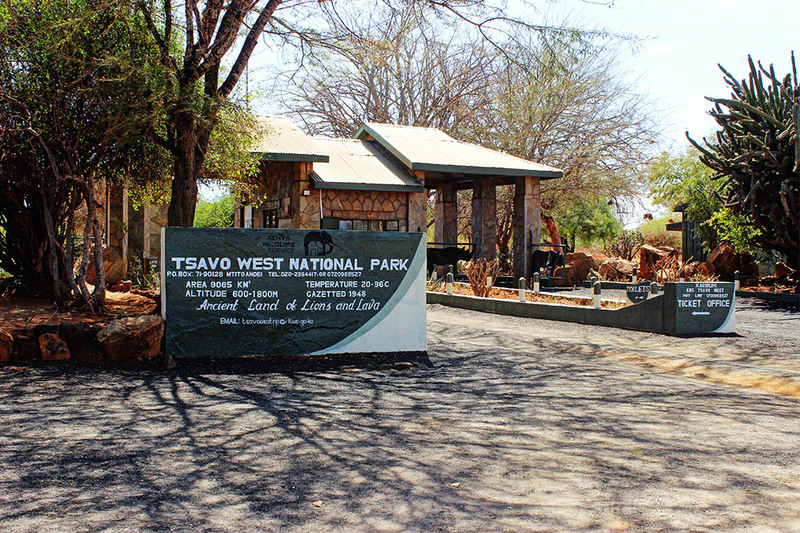 Tsavo is made up of two separate parks, Tsavo East National Park and Tsavo West National Park. 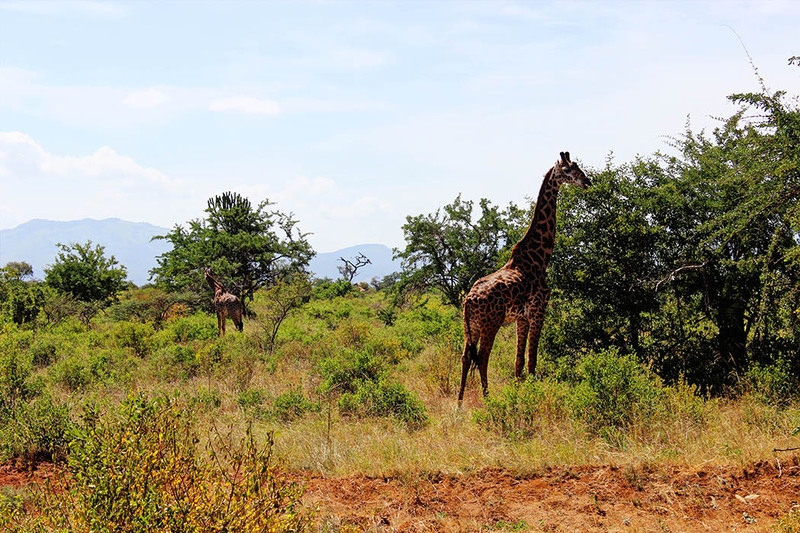 At nearly 22,000km2, it is the largest national park in Kenya and one of the largest in the world. 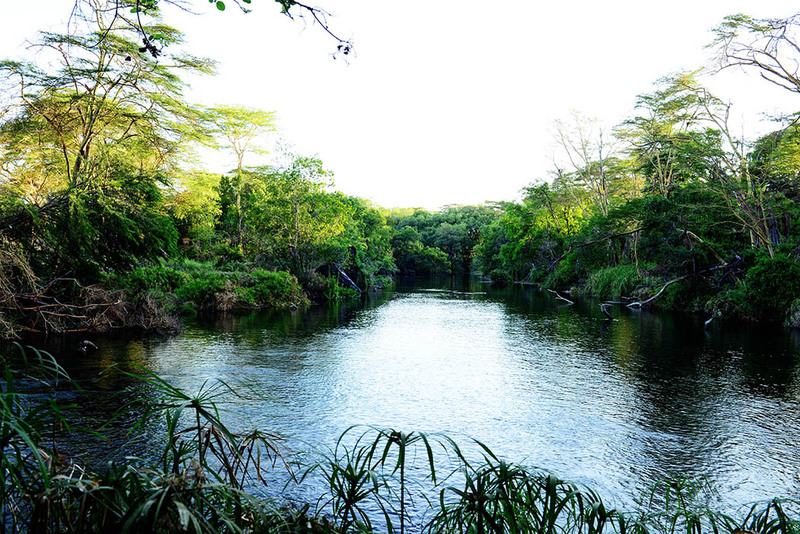 The park was split into two due to the railway going from Mombasa to the interior of Kenya. 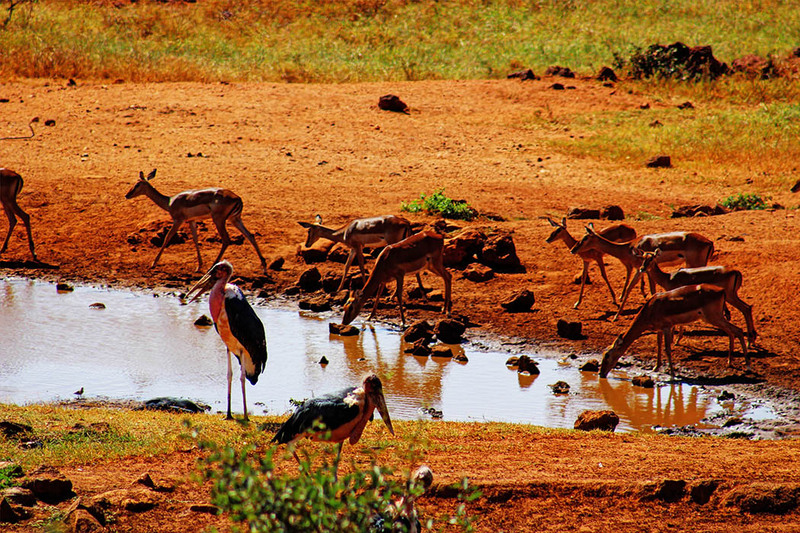 Tsavo West National Park is more mountainous and wetter than its counterpart, with swamps, Lake Jipe and the Mzima Springs. 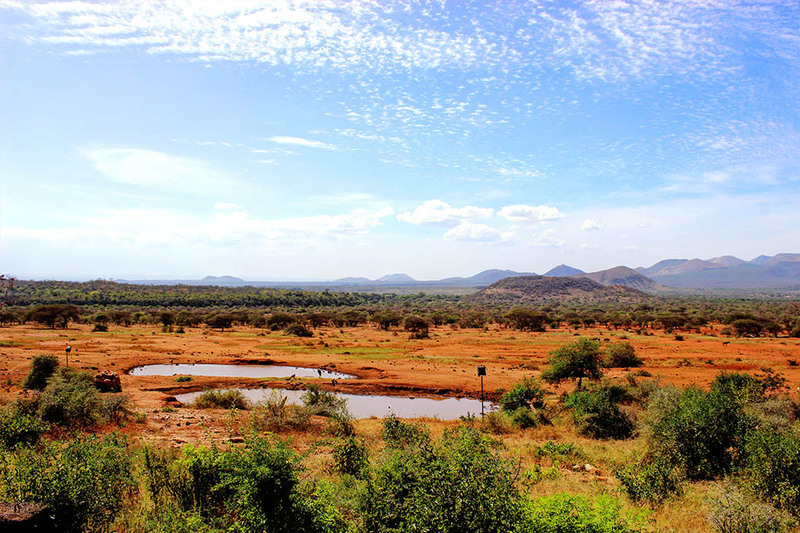 I spent only 1 night in Tsavo West and did not get to go for a game drive so I wasn’t able to cover the park extensively, nevertheless the experience was still memorable. The drive to the park seemed long probably because I had not been there before. 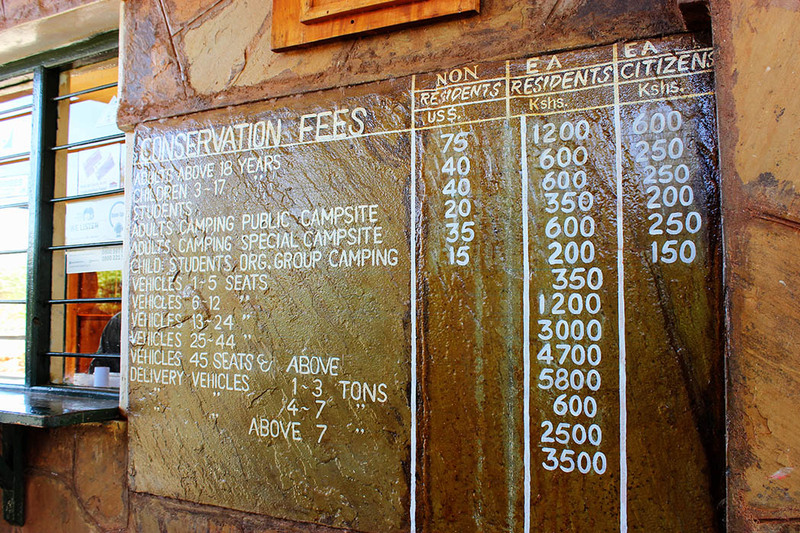 My excitement started to build once we turned off the highway onto the dirt road that led to the park’s main gate. The excitement died down a bit the moment I realized their was no mobile network coverage. Fortunately there was a lot to be distracted by so I didn’t miss using my phone that much (plus there was free wi-fi at the lodge). 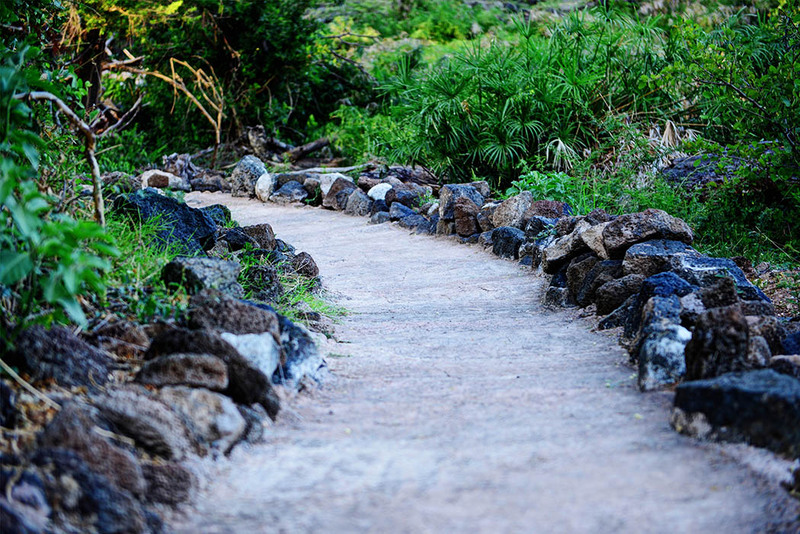 The park is home to a variety of wildlife species such as Leopard, Cheetah, Wild dogs, Buffalo, Rhino, Elephant, Giraffe, Zebra, Lion, Crocodile, Mongoose, Hyrax, Dik- dik, Lesser Kudu, and Nocturnal Porcupine. There are also around 600 species of birds in the park. 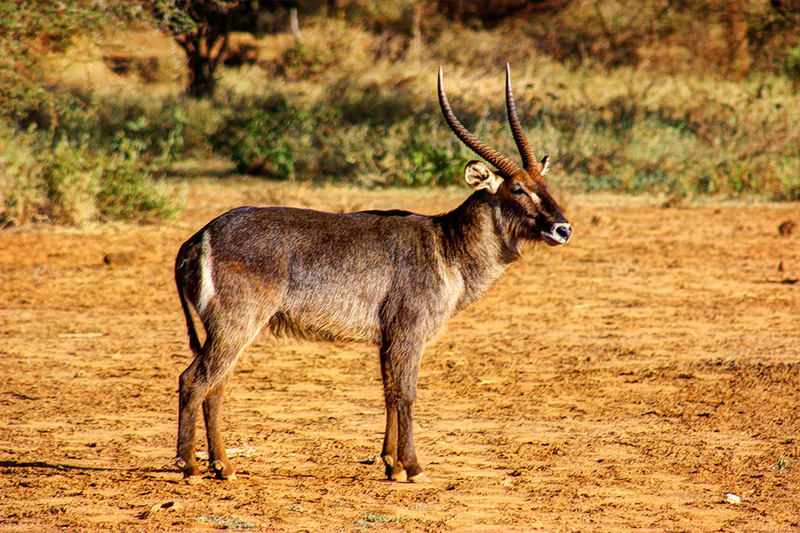 Here are a handful of animals I was able to spot during my brief stay at the park. 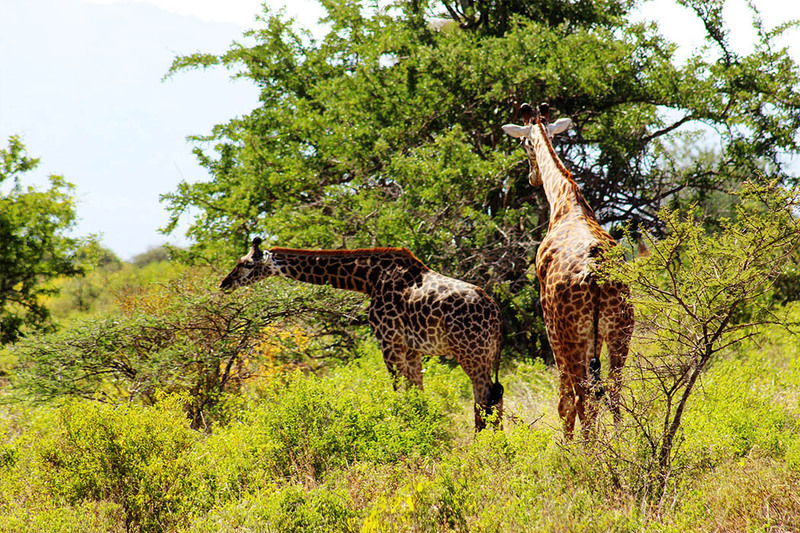 Giraffes are quite common. They were pretty much everywhere I looked. 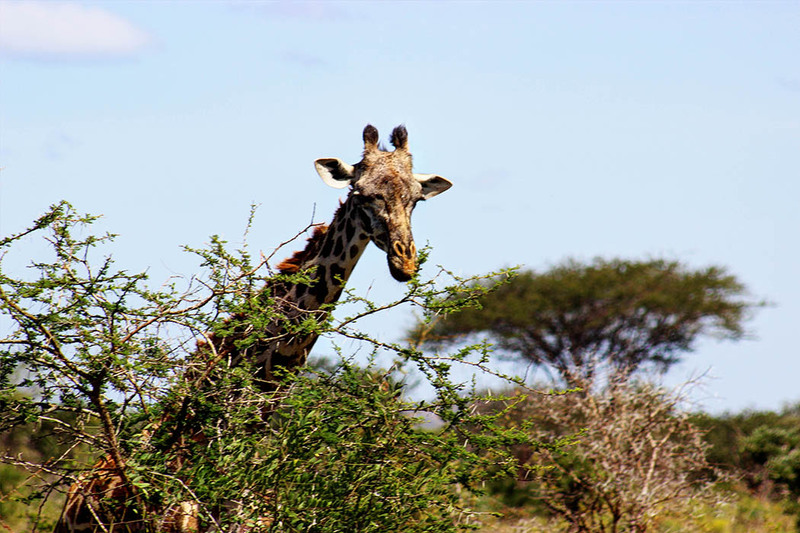 I was also able to spot a few herbivores on the way to the lodge but majority of the animals I got to see were at the watering hole behind the lodge. 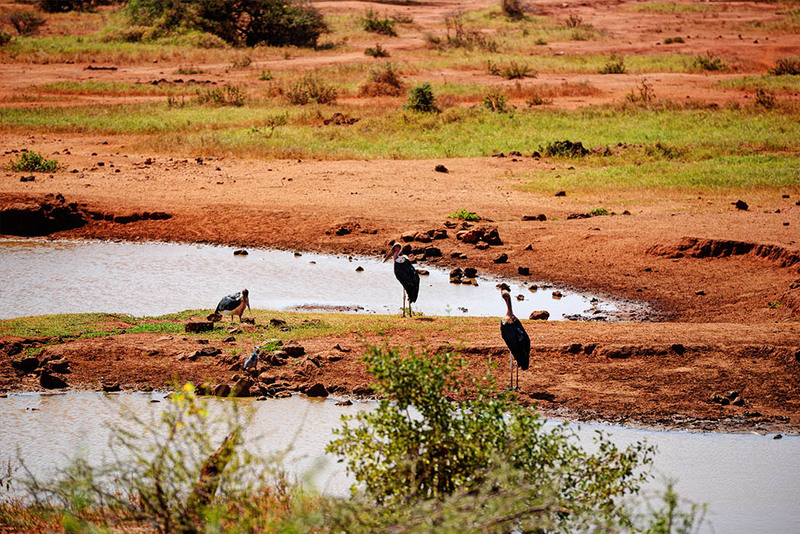 I spent most of my time in Tsavo West sitting by the watering hole near the lodge watching the animals come and go. 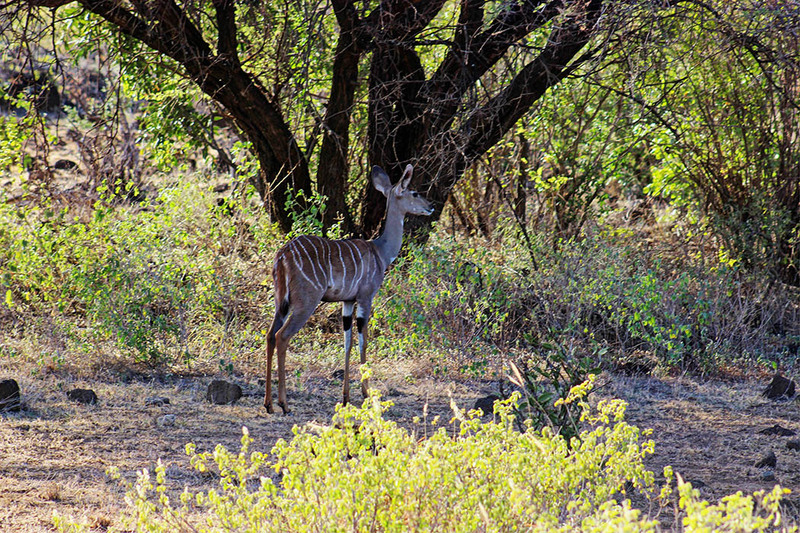 I had the perfect vantage point however I did not get to see any of the big five. 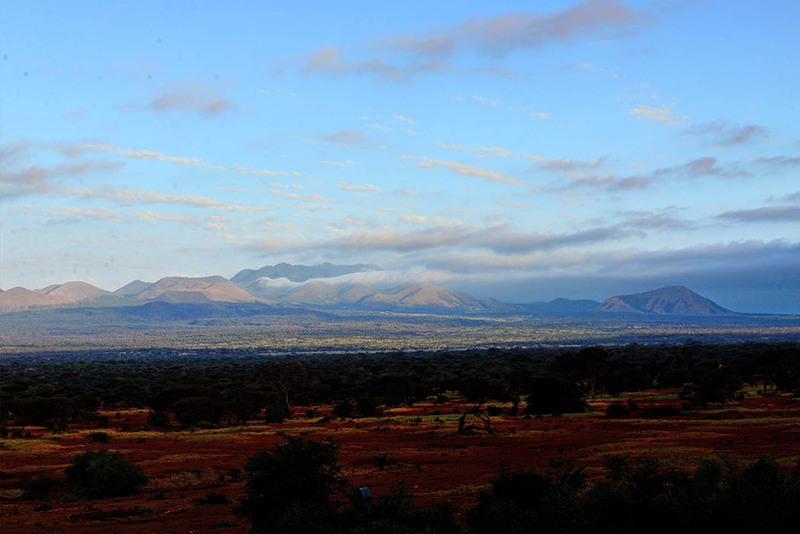 The stunning Chyulu Hills divide the Tsavo and Amboseli plains. 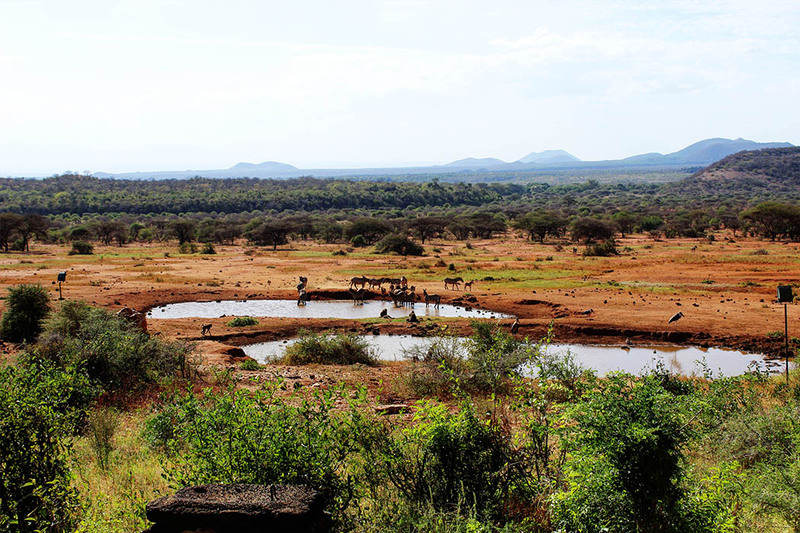 Tsavo West is famous for Mzima Springs, whose water filters down through the volcanic soil of the Chyulu hills, providing an oasis for a wealth of birds, mammals and reptiles. 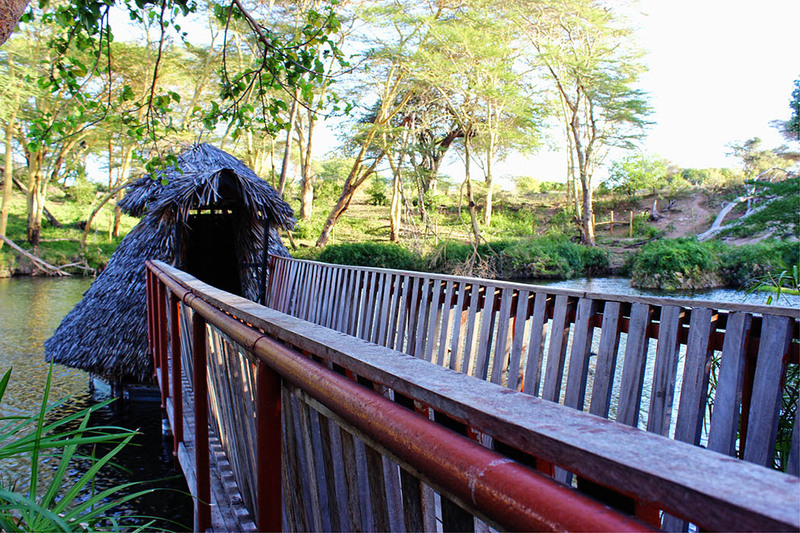 The springs are a series of four natural springs located in the west of the Park, around 48 km from Mtito Andei. 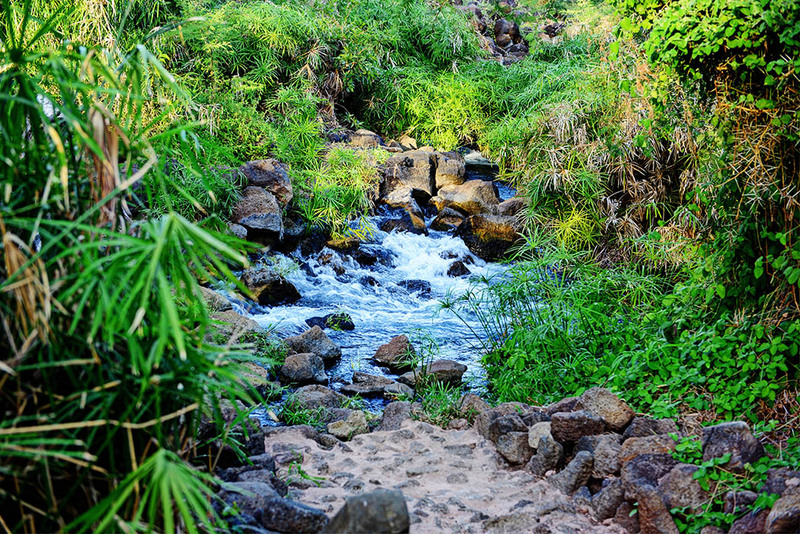 The source of the springs is a natural reservoir under the Chyulu Hills to the north. 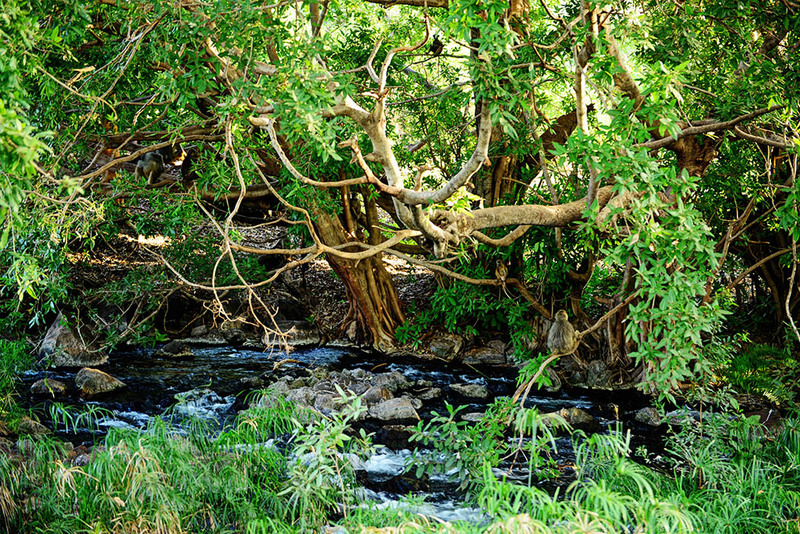 The walk through the springs was very tranquil; the only thing that disturbed the peace was the screeches from the baboons. Nevertheless it was the perfect activity to wind down after a long journey. 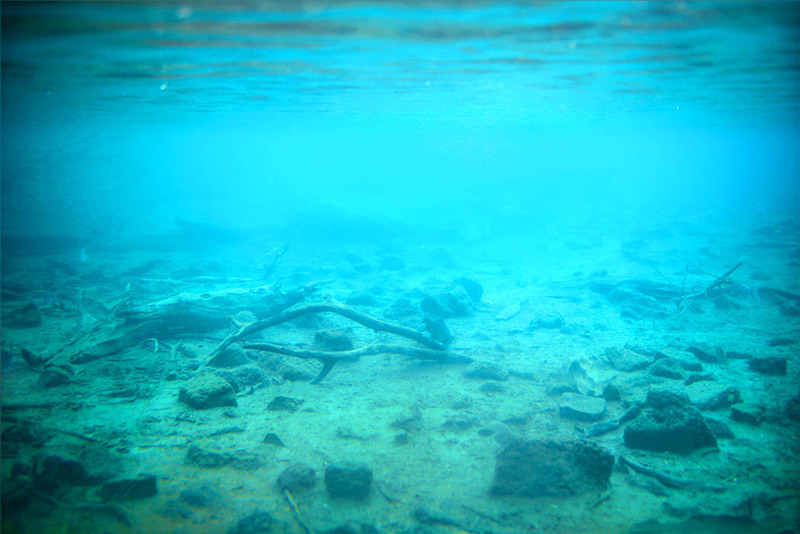 There is an observation hut with an underwater chamber where you can see below the surface of the springs. 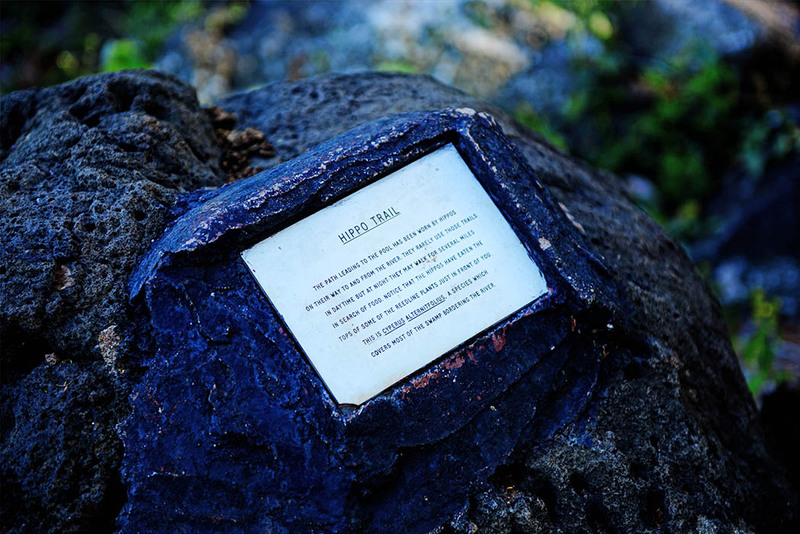 The path around the springs is lined with informational plaques such as this one. 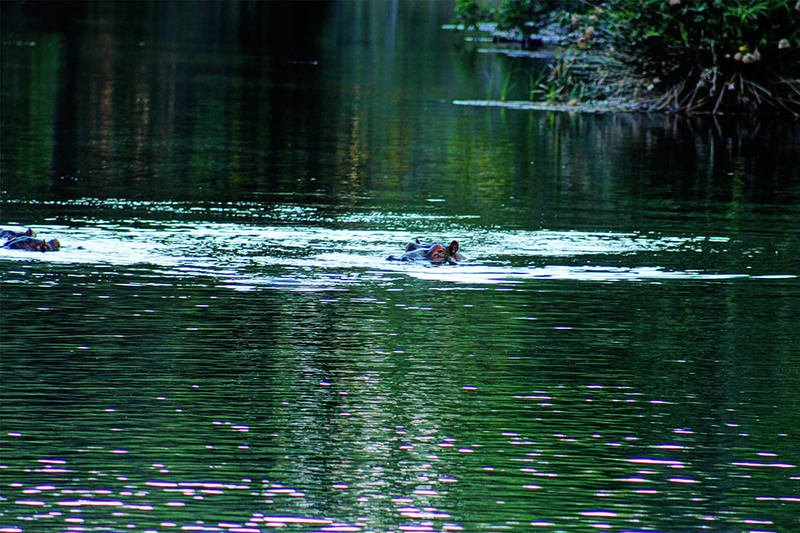 I was able to spot the famous resident hippos of the springs but unfortunately I wasn’t able to get a good shot. They were too far away. On the way back to the lodge we were able to catch the tail end of the sunset, maybe not so dramatic but still a sight to behold. 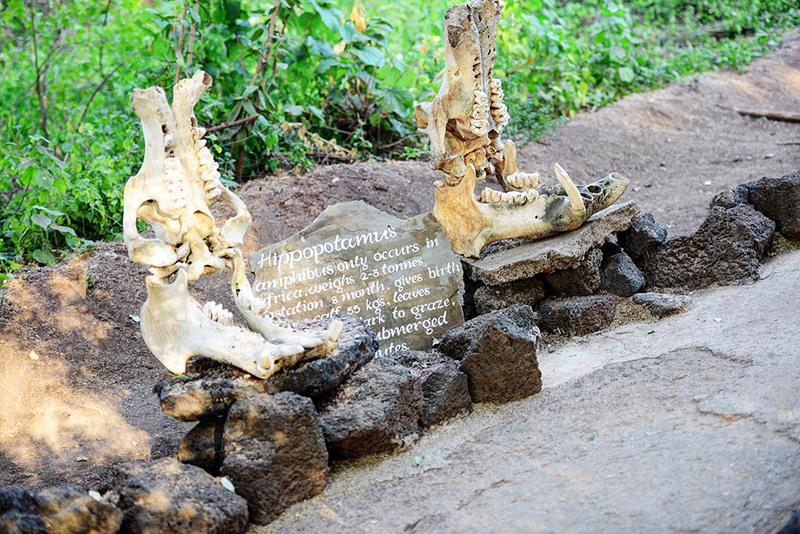 Tsavo is also famous because of the man-eaters of Tsavo. The man eaters were 2 lions responsible for the deaths of at least 28 (some estimates say 135) workers who were constructing the Kenya-Uganda Railway. 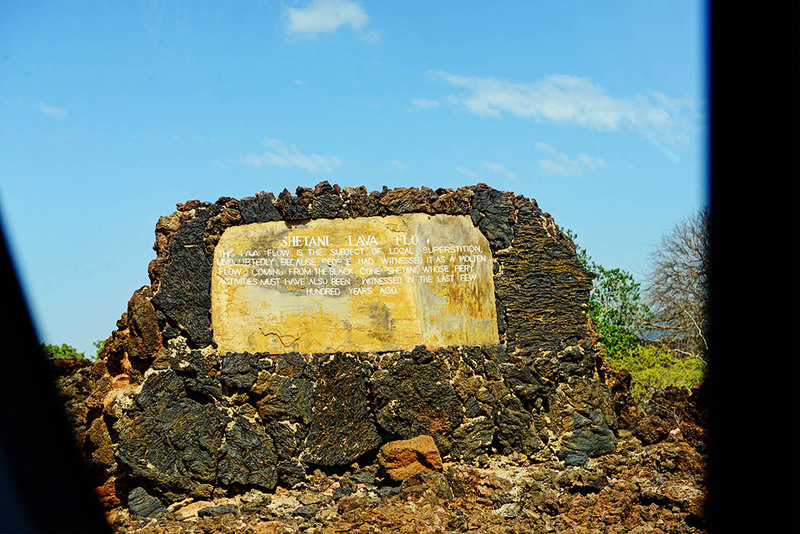 In 1898 the 2 lions terrorized crews constructing a railroad bridge over the Tsavo River until they were finally killed by Lt. Col. John Henry Patterson. Their skins and skulls are now in display at in the Field Museum of Natural History in Chicago. The incident was described in a book titled The Man-Eaters of Tsavo that became, in 1996, the basis for a movie starring Michael Douglas and Val Kilmer. All too soon it was time to leave but there was one more stop to make before driving to Amboseli. 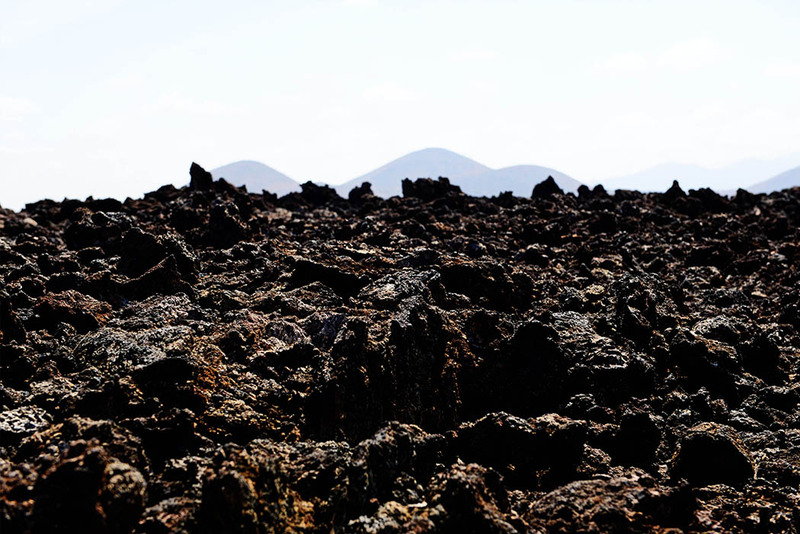 About 4km west of the Chyulu gate of Tsavo West National Park, on the road to Amboseli, are the spectacular Shetani lava flows. 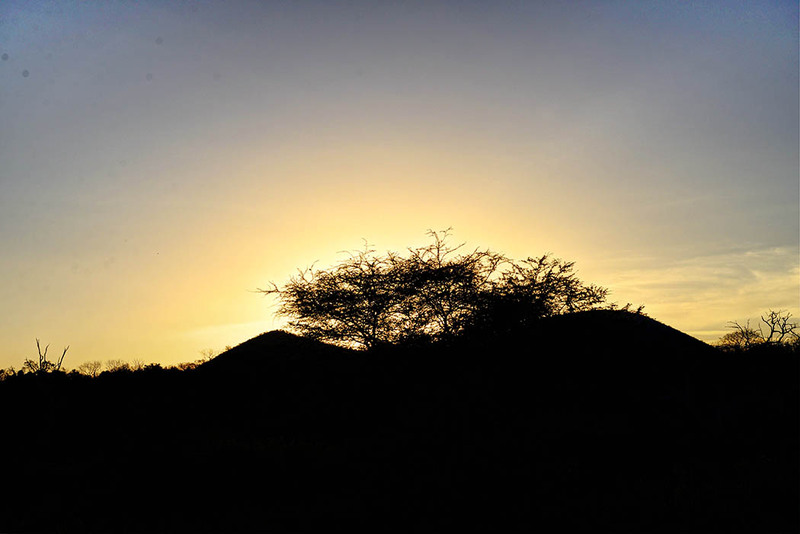 ‘Shetani ’ means ‘devil’ in Kiswahili: the flows were formed only a few hundred years ago and local peoples believed that it was the devil himself emerging from the earth. A huge thank you to Maneno for allowing me to use some of his images for this post. 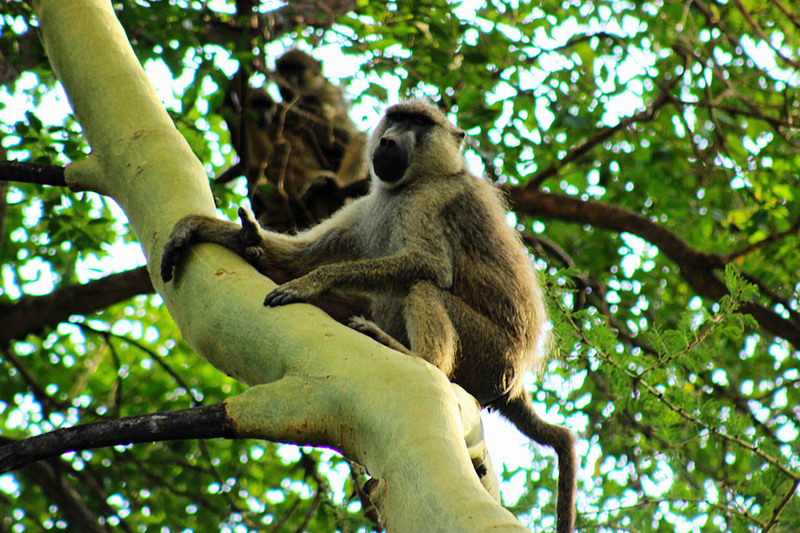 Safari254 has been nominated for a Bloggers Association of Kenya (BAKE) award in the best travel category. Please spare a minute of your time and VOTE for me. Rachel, Wow! 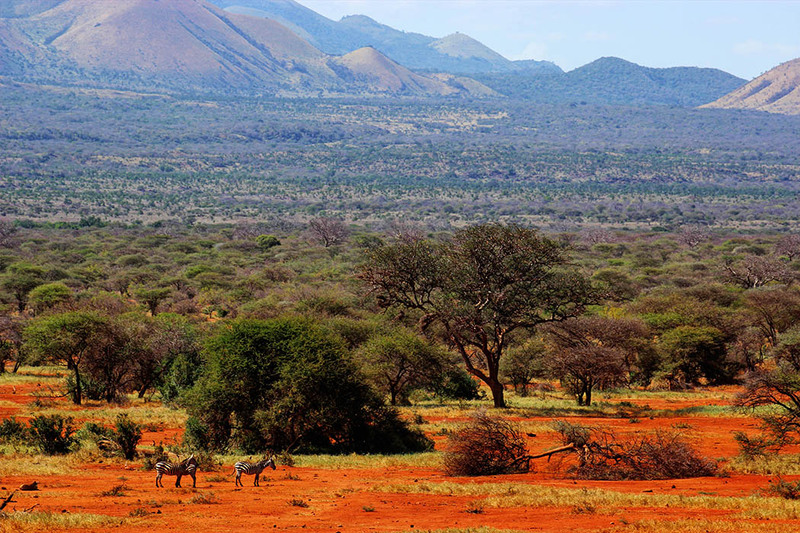 I’d never hears of Tsavo, but it looks like a wonderful spot. 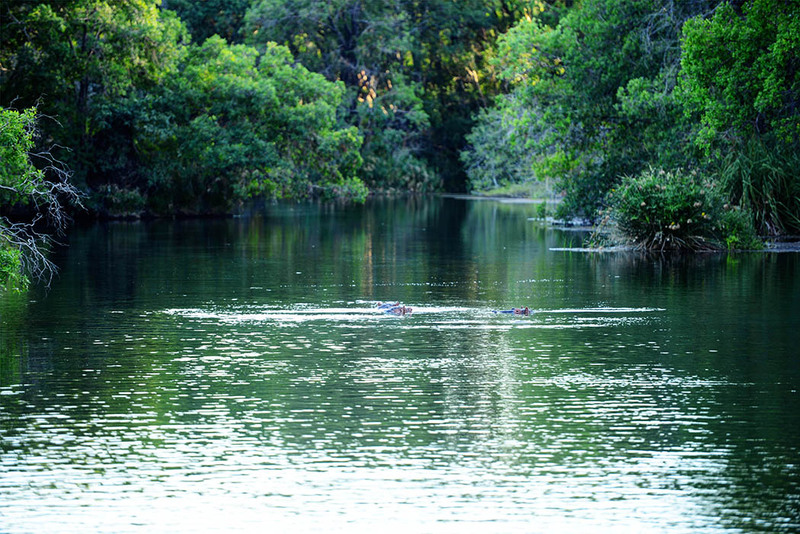 I think watering holes are such a great spot to see the wildlife. Great photos, too! Yay team Weekend Travel Inspiration! What a stunning setting! Your pictures as always are just amazing. They really make everything come alive ! The giraffes are so cute..I notice the price of $75 U.S. Do you know if that is for one day? I assume it is impossible to see everything in just a day.. These are fantastic photos (as always). 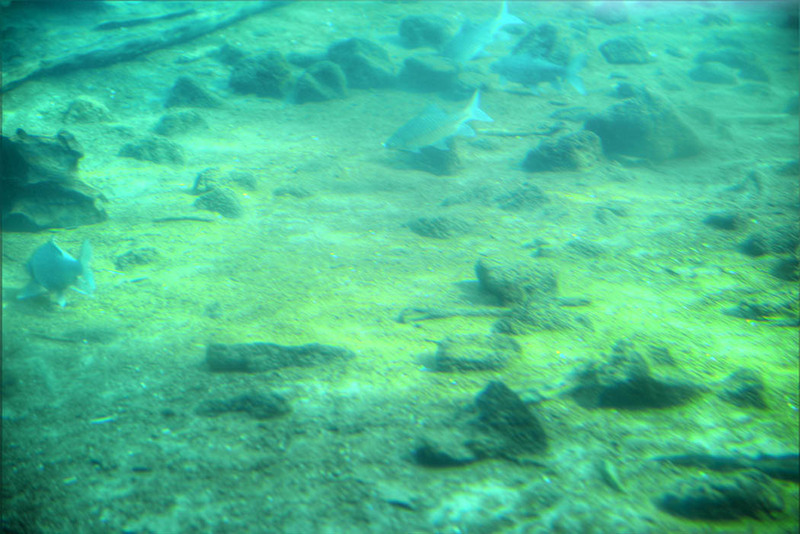 I particularly like the game shots up close but also from a distance, giving an idea of the scale and lay of the land. 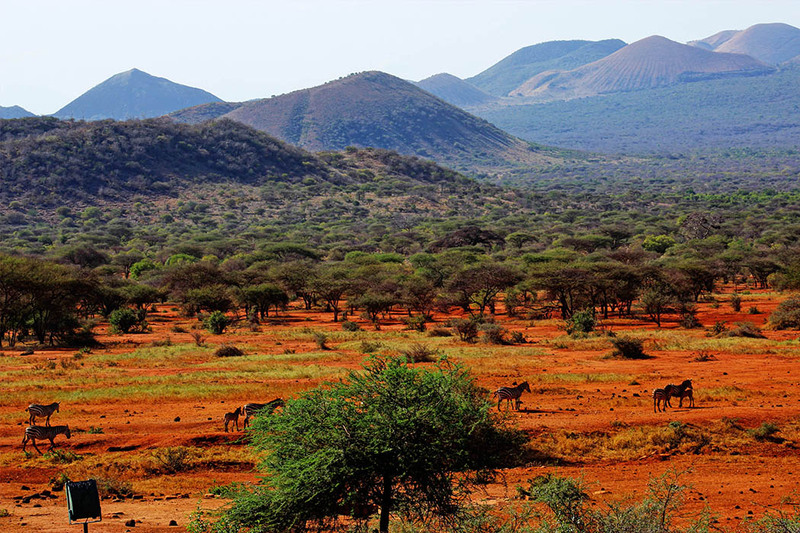 Tsavo West looks so lush, and as you pointed out, the hills in the backdrop are stunning. Good to know that this is the place that “Ghost in the Darkness” is set in. I saw that movie years ago…pretty scary to think of man-eating lions! As always, beautiful photos. It’s a dream to see the wild life in person. I only hope to make it there one day. even without animals the scenery is stunning! i could sit their and enjoy those views for quite a while (especially with a cold beer handy). 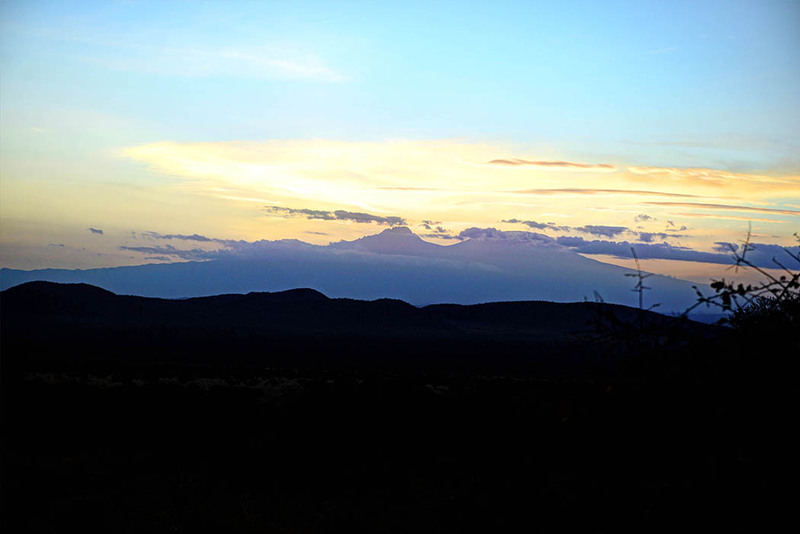 Tsavo West is so beautiful, especially in one of your photos with the mountains in the distance and the clouds across the sky. You had a great view of the watering hole and a good camera for capturing all the animal action. I especially like the giraffes. 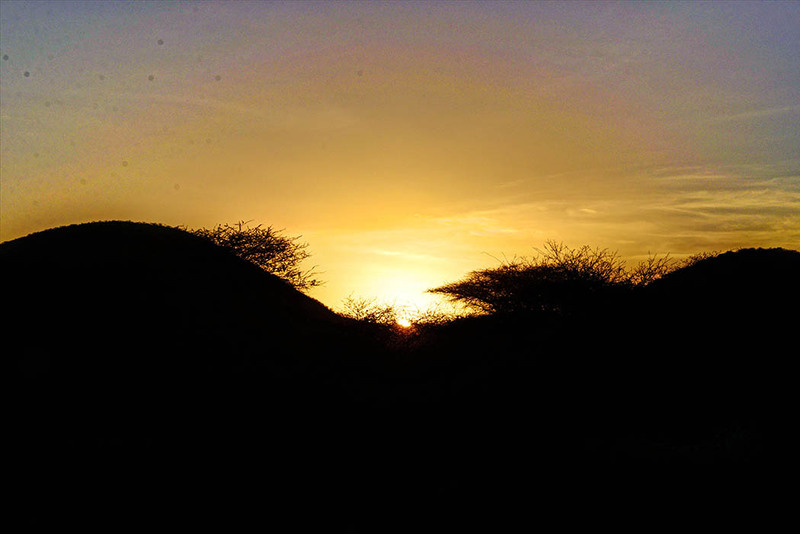 Watching the sun rise there would be my dream come true…. Magic happens here! Amazing pictures. 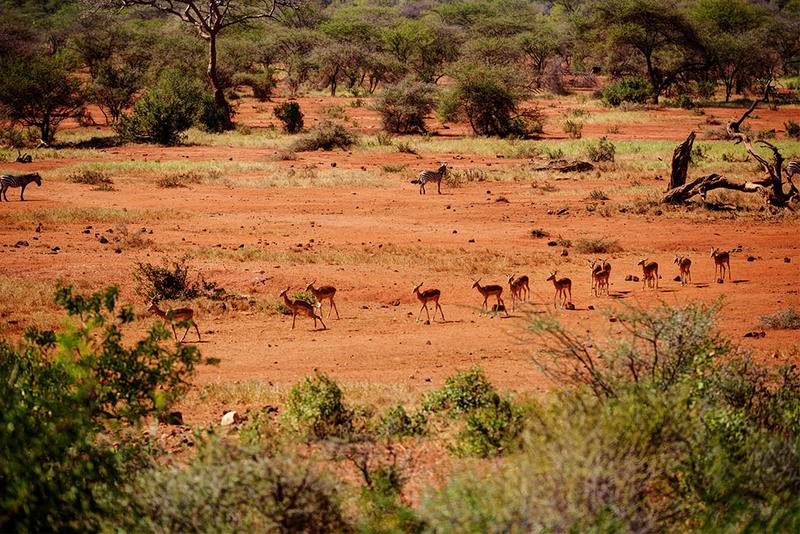 I should visit Tsavo next year. 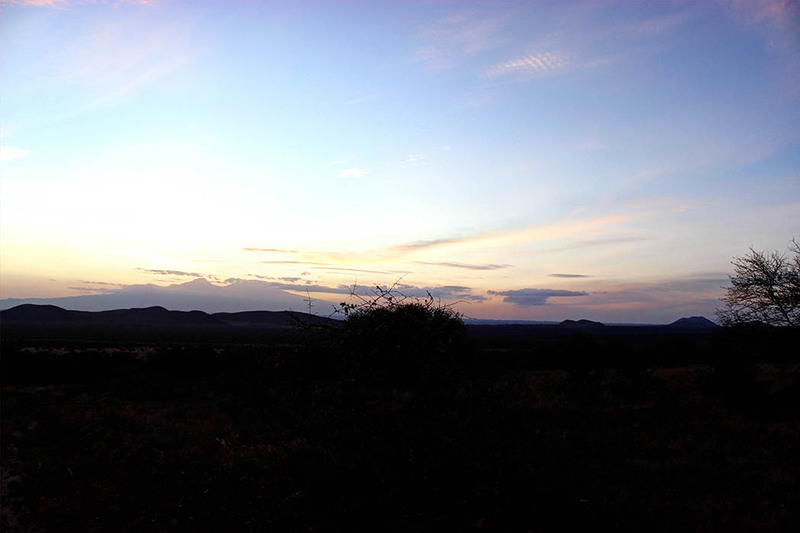 I love Tsavo West, thank you for taking me back. You might have had a short visit but you ended up with a lot to share. Cheers! Love this! I’m still trying hard to convince my husband for a safari trip soon. You always inspire me to keep trying to go on my dream trip. This looks like an amazing park. What a wonderful experience. Beautiful photos as always! Wow – what amazing shots.